Honored to host BBC Live from Brook Park with their great team. They came to learn more and speak with members of our community about the many polluting industries that impact our air, the proposal to subsidize diesel trucks and Fresh Direct and the potential wonders of our waterfront. 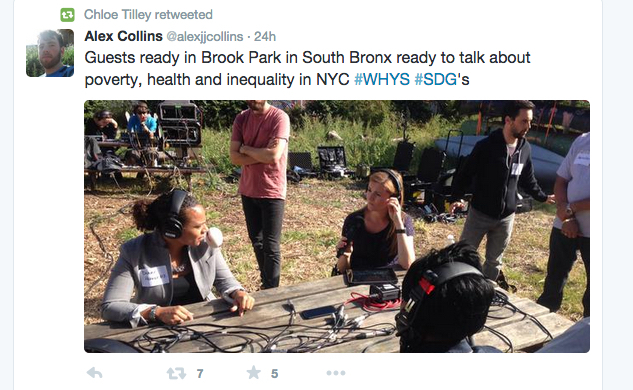 As they put it” We’re live in New York City this week ahead of the UN debate on global development. Today, stories of poverty and deprivation from the South Bronx, within sight of Manhattan.” Link to podcast here. Photo album of their tour and visit of our waterfront and community. 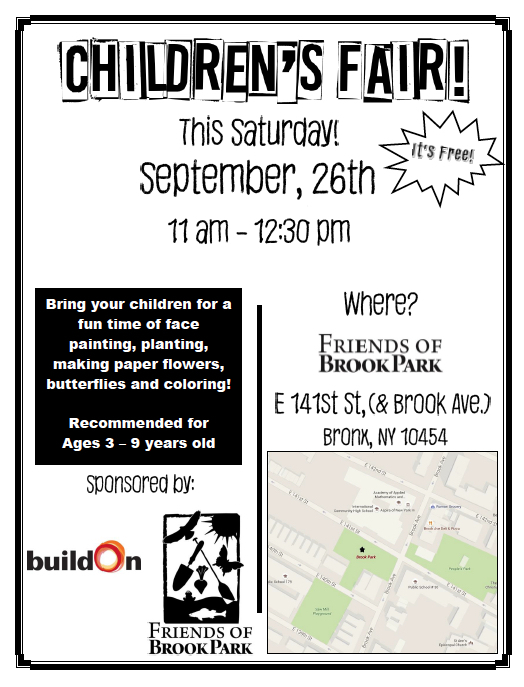 Brook Park Fall Tree Giveaway online registration now open! Plus earlier on the same day there will be a FREE tree pruning and care tutorial. Free Pruning Workshop is happening earlier at 10:00 AM to 11:00 AM. Have fun learning the basics of tree care and pruning to help ensure your tree stays healthy for many years to come. Free hand pruners will be handed out to the first 25 participants too! plant in one of the five boroughs. Our NYC neighborhoods need these trees in the ground. keep trees properly watered and maintained. plant your tree in the ground of your yard and NOT along streets, in city parks, in containers, terraces, balconies or on roofs. to register online and reserve your free tree! Registration allows you to reserve one tree per address. If registration is closed, a limited quantity of trees will be available on a first come, first served basis. 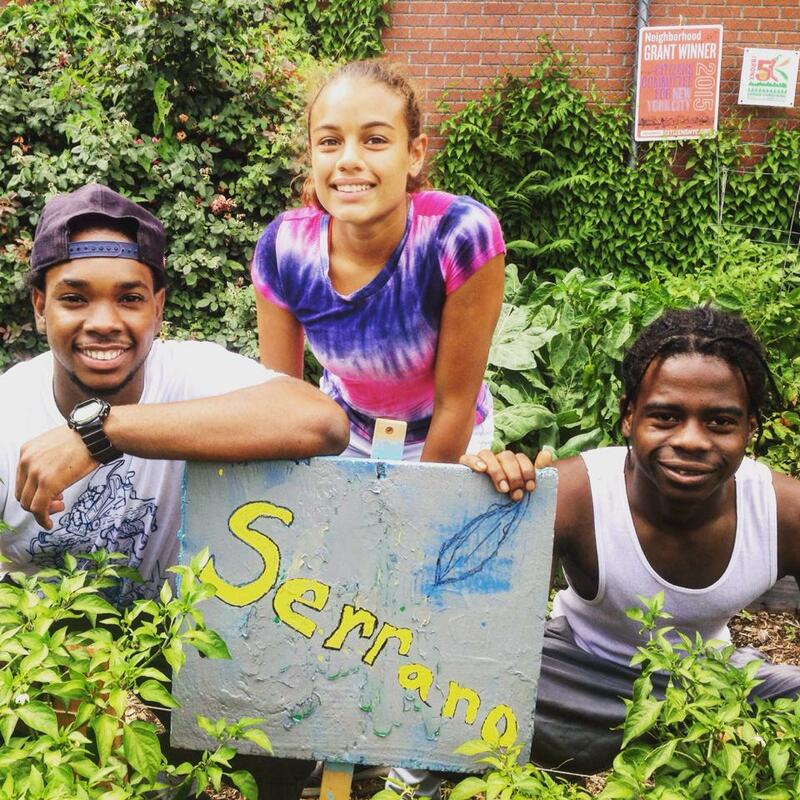 This event is made possible by the NYRP – New York Restoration Project. Online registration allows to you reserve a tree ahead of time. You must pick up your tree within the first hour of the giveaway event. Click here for more details. There’s still time to reserve a tree to pick up at 12:00 PM. Just register to make sure you’ll get a tree and we’ll hold it for you to pick up at 12:00 PM. Don’t miss the tree care Workshop earlier at 10:00 AM too. It’s going to be a lot of fun! See you there! paper flowers, butterflies and coloring! Come for an hour or more. With our friends from buildOn. Teacher Orientation. No Child Left Inside. Don’t wait! Teachers can get a key, and a bunch of free kaleJ. Use the garden for ANY SUBJECT!! Or contact us for a group tour or orientation anytime. New York City Council Speaker Melissa Mark-Viverito and Councilmember Maria del Carmen Arroyo, Chair of the Community Development Committee, penned a joint letter to the State Department of Environmental Conservation (DEC) last Friday in regard to the application of New York Power Authority (NYPA) for the Title V re-permitting of its Harlem River Yards (HRY) fossil fuel power generation facility comprising two turbines, located at 688 East 132nd Street in the South Bronx. As representatives of the environmentally overburdened community, where the deadly outbreak of Legionnaires was recently linked to the community’s chronic respiratory and other illnesses, the councilwomen asked for an extension to the public comment period and a public hearing on the re-permitting. “…no evidence has been presented to our offices that the closure of this plant would have any impact on the price or availability of electricity in the City or have any other impact other than the elimination of a source of air pollution from a severely overburdened neighborhood,” the letter stated. Located on State land privately leased by then Governor Mario Cuomo, the NYPA facility was pushed through as a temporary facility 15 years ago and bypassed environmental review at the time on the basis that it generated 79.9 MW, 0.1 MW shy of the trigger for a comprehensive impact analysis. The power plant sits within an approximate half mile of five other facilities also requiring air pollution permits and in close proximity to traffic-heavy highways and NYCHA and other residential buildings. More than 200 residents and other environmental leaders wrote letters to DEC urging rejection of the permit. Concerns and questions raised include the necessity of the facility, the adequacy of the siting process, the lack of pre-construction environmental review and the risk of exceeding permitted emission limits, including during start up and shut down. Organizations have also asked to review compliance reports, mitigation plans and PM 2.5 measurements, among other requests. While DEC originally closed the public comment period last Friday, September 4, they have now extended it to September 18. 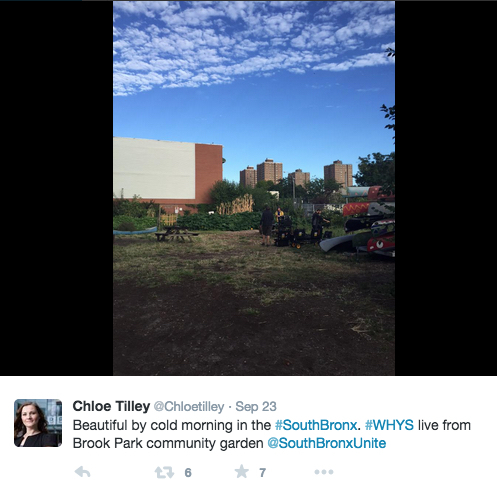 South Bronx Unite is encouraging people to continue contacting DEC in regard to this matter. Article from 2001 on this issue by John Tartelton. 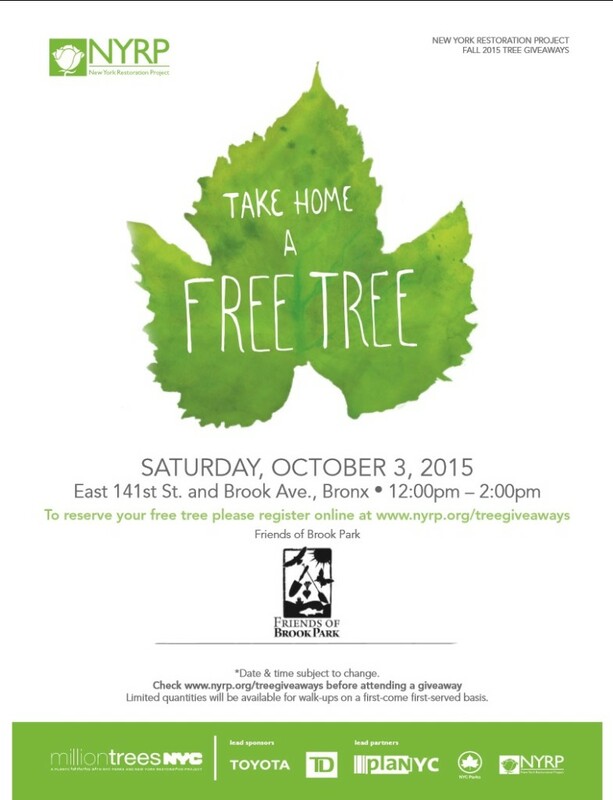 Another Tree Giveaway in Fall for Bronx residents! The Bronx needs trees! 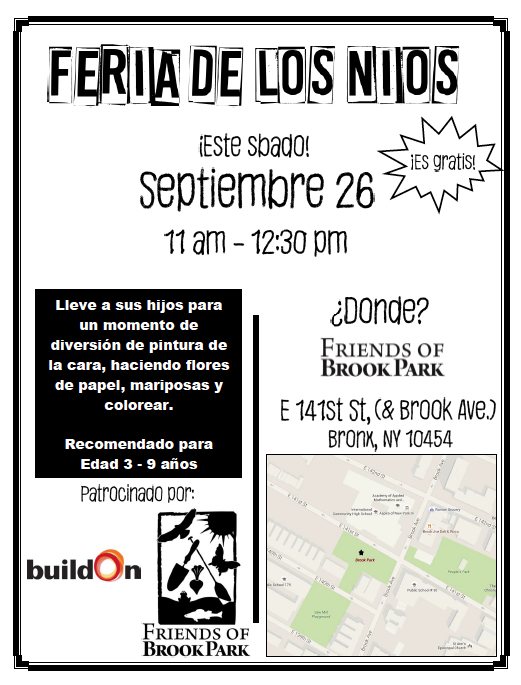 Do you have land in the Bronx or know someone who does? Another Tree Giveaway is happening at Brook Park this Fall. You can adopt a tree for free, plant it, water it and watch it grow through the years. Maybe it’s that patch of land near your bus stop. Maybe it’s a little square of ground near your church. Spread the word. If you don’t have land, ask your landlord if you can plant a tree on the property. They must be in the ground. 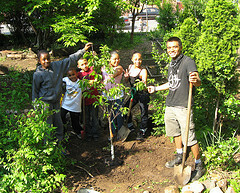 Help make the Bronx a healthier place to live, work, and play by finding places to plant trees in our Bronx ground. Pick up your free tree! In partnership with local community organizations, NYRP is giving away trees throughout NYC this spring. plant in one of the five boroughs. Registration will be posted no earlier than three weeks before a giveaway date. If registration is closed, a limited quantity of trees will be available on a first come, first served basis.